How to Play a Faster Market? You are here: Home / Trading Lessons / How to Play a Faster Market? There are events like Union Budget 2016,BR-Exit where the downtrend was imminent followed by the faster recovery and in most of the panic situations recovery was faster than we think. And there are times where we face slower markets. One of the problem we face in today’s trading world is market changes its opinion faster than a human mindset and there are times it frustrates a traders and changes its opinions slower than we think. The problem is we dont want to change our opinions faster when there is a sudden trend reversal in the markets followed by a sudden reversal. Our human minds are not prepared to handle such extreme price movements. And often subject to cognitive biases followed by erroneous and emotional predictions about the market. All of us, and especially experts, are prone to an exaggerated sense of how well we understand the trading world. This is where our competitors plays a major role and take advantage by trading against majority of the opinions. 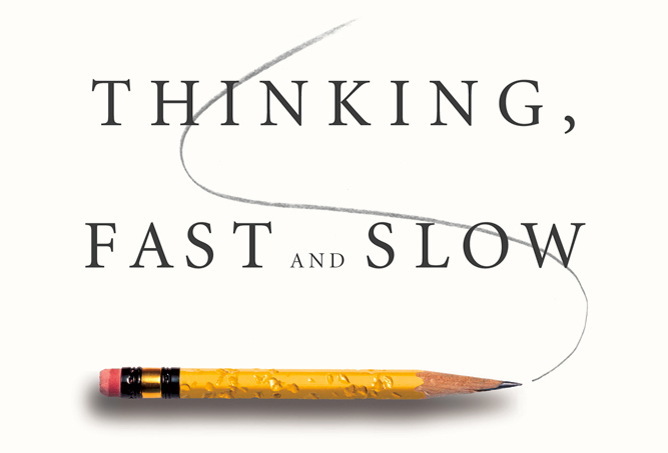 When to think fast and when to think slow are two different brains involved. Reading “Thinking Fast and Slow” by Daniel Kahneman who won the Nobel in economic science could solve some of your thinking abilities and drives you to cultivate as habit of thinking and helps to avoid blindly repeating our same mistakes over and over again.